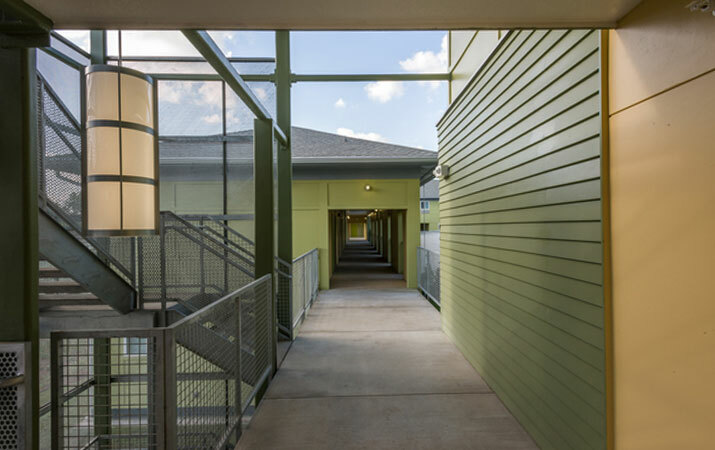 This 160-unit Single Room Occupancy (SRO) community is situated on three acres on Houston’s north side. 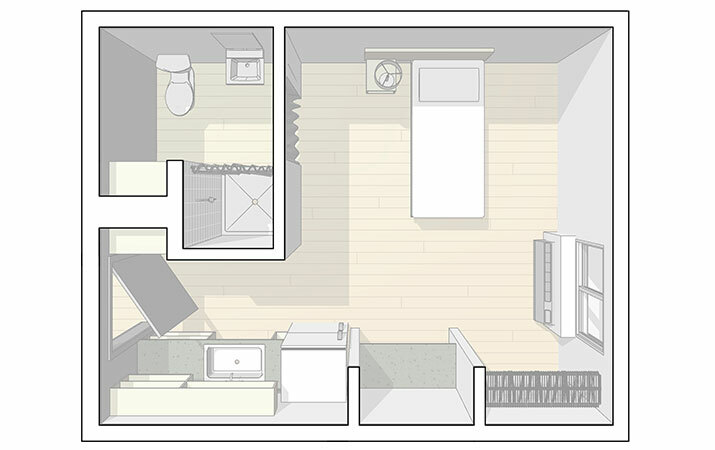 Designed to serve single adults living on limited incomes, each furnished unit offers a private bath and a small kitchenette. A vibrant, architectural stained glass installation by Texas artist Kim Clark Renteria welcomes residents and their guests to the sun-filled main lobby. 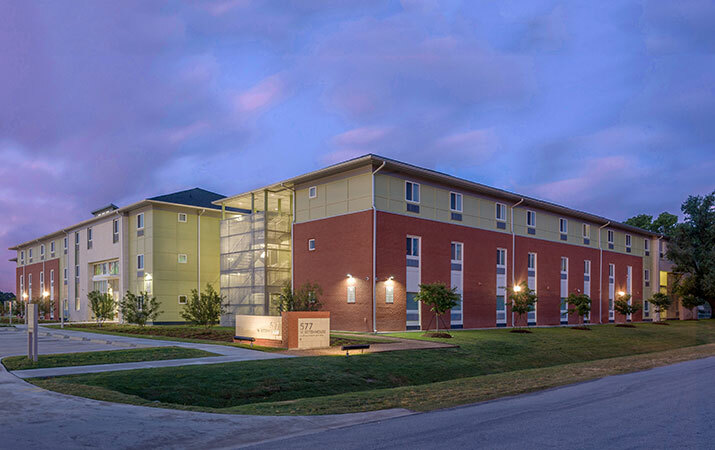 Shared community spaces include a reception and office area, a fully-furnished kitchen, dining and theater room, business center, library, laundry rooms, and social service meeting areas. 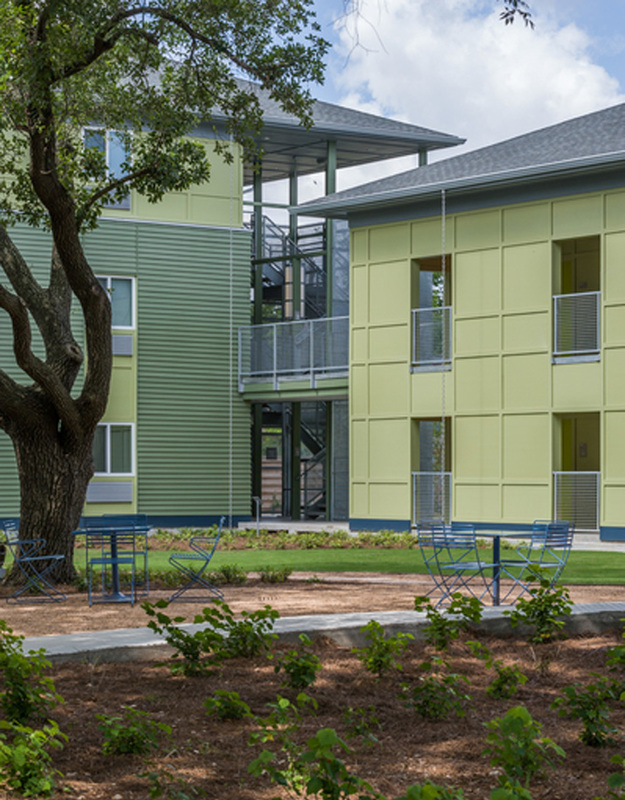 The established live oaks on the site inspired the arrangement of the surrounding wings and the community center, which is the project’s focal point. 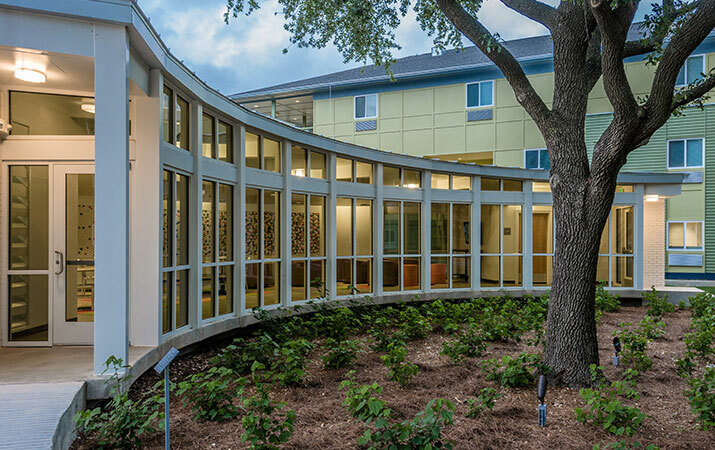 The curving glass walls of the community center echo the canopy of the large oaks and provide a strong visual outdoor connection, as well as dappled light for these public areas. 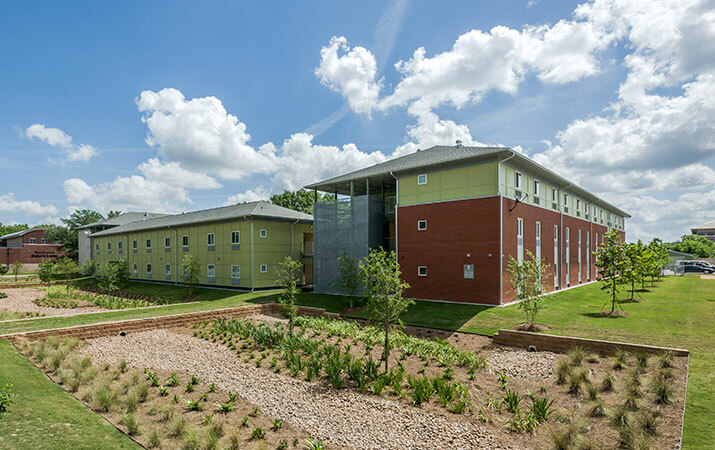 30,000 square feet of gardens include a courtyard and an outdoor eating area. Flood mitigation areas contain native and naturalized plantings. 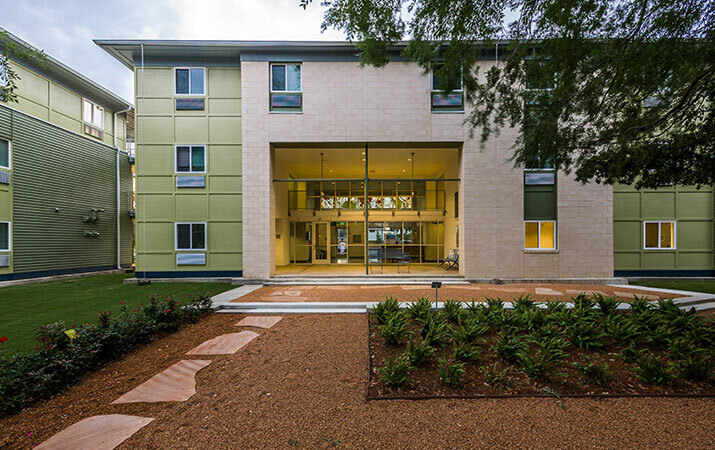 Completed in 2013, this project is New Hope Housing’s third LEED Platinum® building.